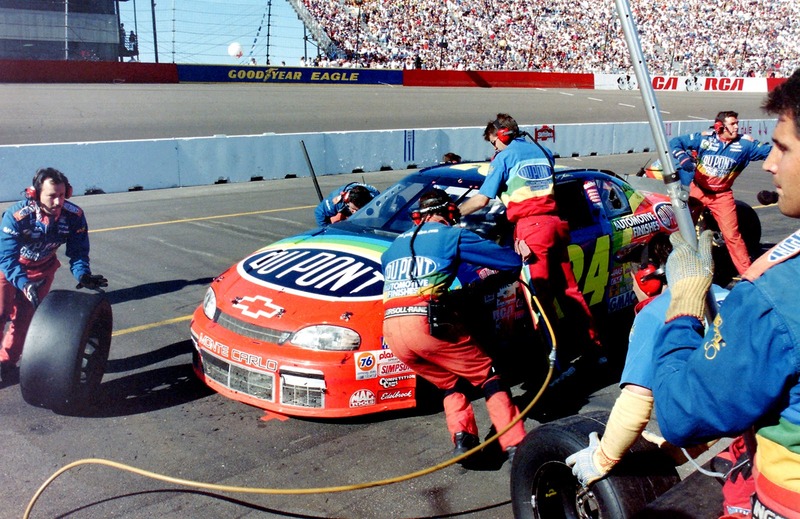 Rainbow Warriors: Jeff Gordon's first pit crew gained its nickname from the brightly-colored paint scheme on the 24 car. Flying Aces: Dale Earnhardt's mid-to-late 80's pit crew was regularly the fastest in the sport. Also known as "The Junkyard Dogs". Flying Deuces: Rusty Wallace's first pit crew with Penske got its simple nickname from its car number. Pit Bulls: Greg Biffle's team gave itself this appropriate nickname for any crew. Killer Bees: Matt Kenseth's championship pit crew took its name from his DeWalt-sponsored yellow and black paint scheme. Copyright Mack of Spades. Awesome Inc. theme. Powered by Blogger.